Spirit Tea is an American Tea Company dedicated to preserving the integrity of tea from cultivation to preparation, infusion, and experience. We work with farmers seasonally to identify the finest and most uncommon varieties. We highlight the natural flavors of the plant and recognize the craft of processing, always free of additives or flavorings. We offer unparalleled service, training, and education in order to build strong relationships within our community. This level of partnership also ensures the telling of each teas story and preserves the end experience of tea ritual. We ultimately hope our work expands the American tea palate by making the supernatural experience of handcrafted tea accessible. 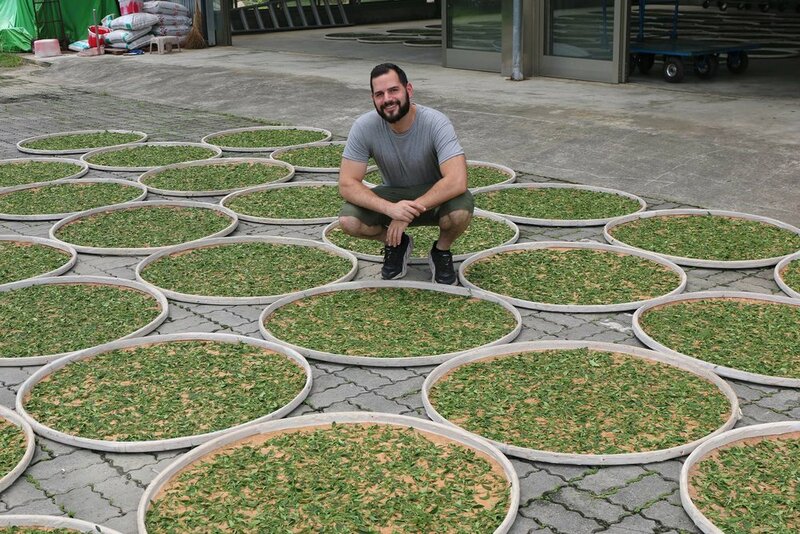 Each year Jordan builds relationships with producers in Anhui, Zhejiang, Fujian, and Guangdong provinces in China, and is also director of sourcing for Taiwan. Each year Taylor travels to Yunnan province building relationships with producers all over the cradle of civilization for Tea in Yunnan, China.